Kicking off my US travel posts with photos from our first day in LA. 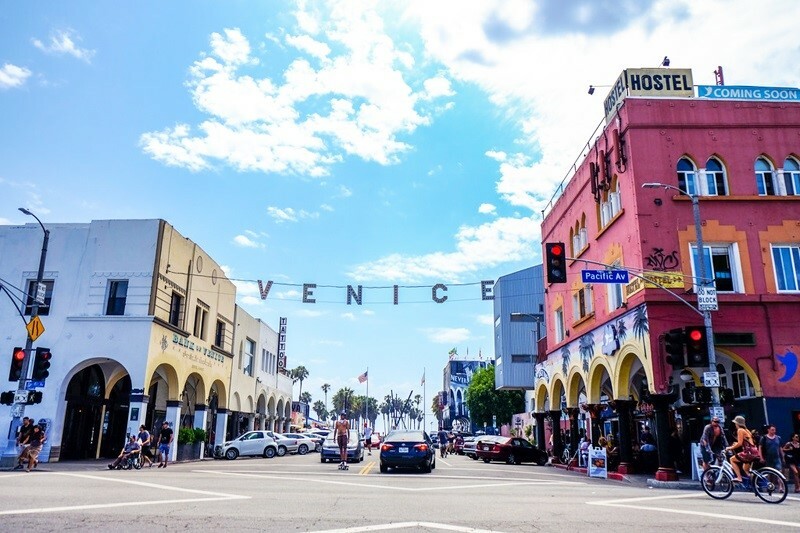 No trip to La La land would be complete without a visit to the iconic and bohemian district of Venice. Since our accommodation was just a stone's throw away from the Boardwalk, we thought we'd spend our first morning there, soaking up the very laid-back California vibe. As we were still a bit jet-lagged, we decided to take it easy and have a relaxing morning by the beach, people watching, listening to the street performers and enjoying a nice spot of brunch at one of the many delectable eateries along the promenade. 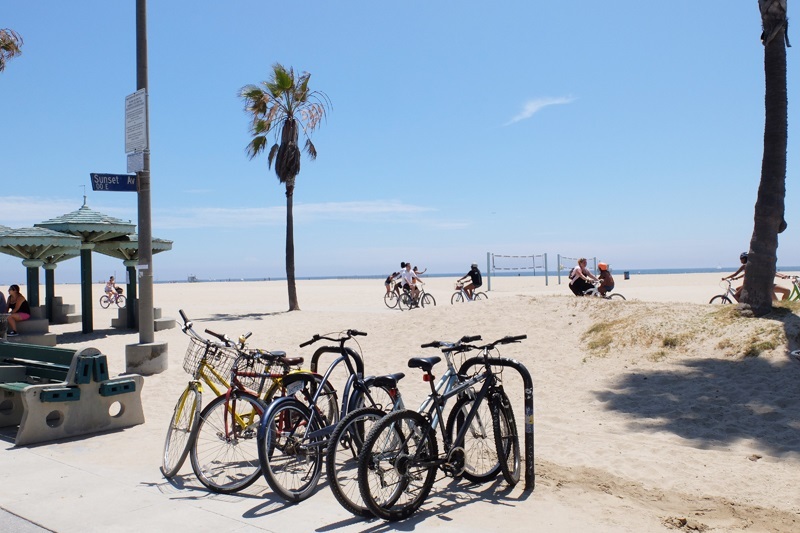 A mecca for cultural and artistic-minded folks, Venice Beach has been immortalised in LA society for decades. From the giant murals that adorn the buildings, to the eclectic clothing shops and street vendors, it truly is a feast for the eyes, in every sense. 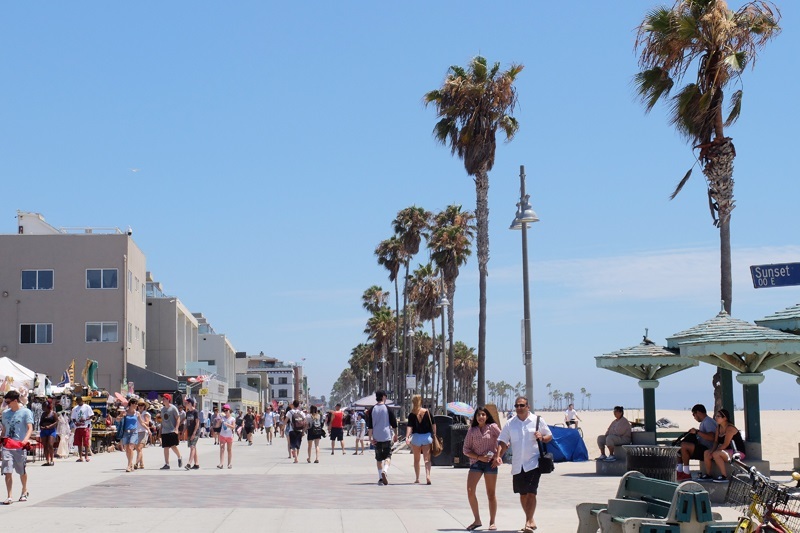 Whether you are shopping for unique souvenir gifts, surfing in the ocean or just browsing the hundreds of local shops, Venice beach is a must-see when in Los Angeles. 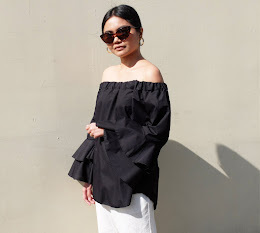 So what did I wear on that hot Summer's day? 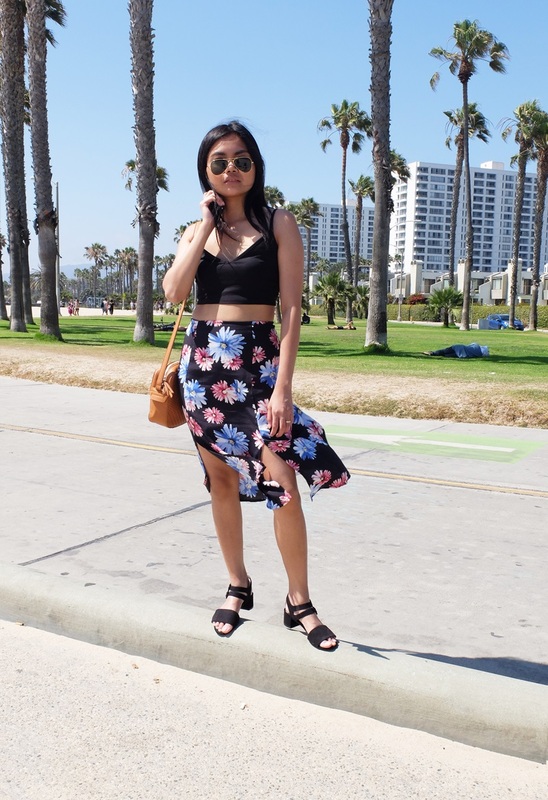 I took a cue from Reformation's SS16 lookbook and recreated one of my fave outfit formulas from their collection: a solid midriff-baring top + skirt with a vintage print + block sandals. 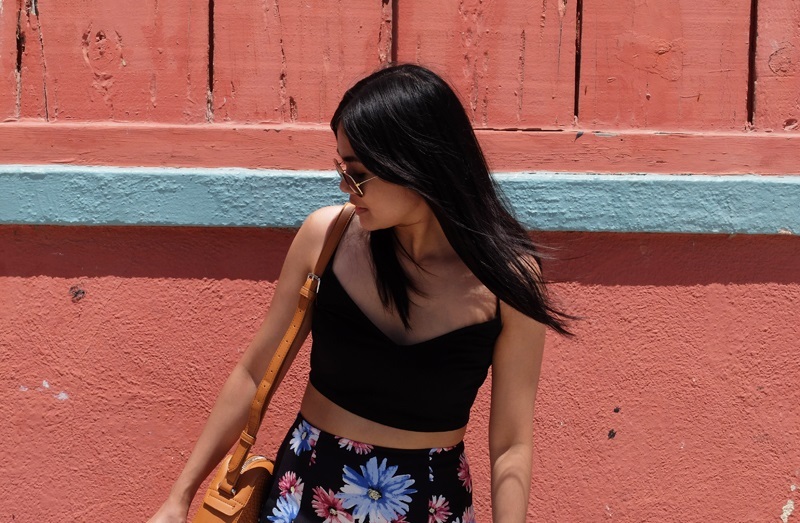 I achieved that look by pairing my cropped top with a high-waisted, floral printed skirt with double front slits. Pulled the outfit together with my suede open-toed grandma-ish sandals, which are reminiscent of my current shoe style obsession: Maryam Nassir Zadeh's low-heeled 1960s-inspired strappy creations. 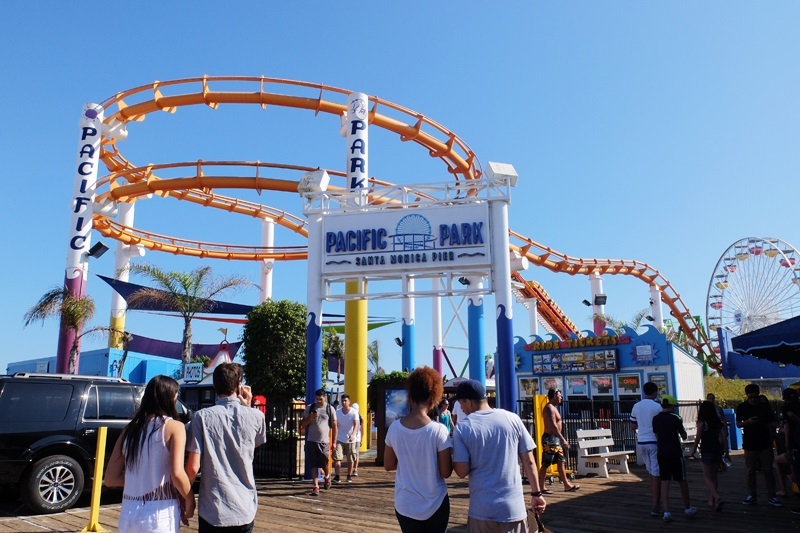 After spending the day at the beachfront, we headed to Santa Monica Pier for some afternoon ice cream shakes at Pier Burger and amusement park rides at Pacific Park for the little girl while waiting to meet up with my friend, Jacob, for dinner. More LA adventures on my next post!